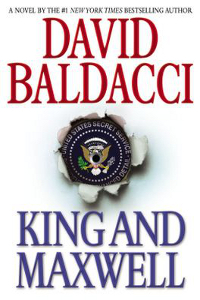 Another giant of the thriller scene, David Baldacci, has done it again with this action-packed page-turner. Sean King and Michelle Maxwell were once secret agents; now they’re private investigators, and it’s clear they’ve stumbled across something sinister when they almost run over a teenage boy on a dark road. Tyler Wingo is devastated after receiving news of his father’s death in Afghanistan. Soon after, however, he receives an impossible email – sent from his father, but after his death. Things are clearly not what they seem and he reaches out to King and Maxwell for answers. Is Wingo Senior really dead and what does this mystery mean for Tyler’s very existence? This young man is alone in the world and he needs protection. It’s not going to be easy – or safe – for anyone who touches upon the conspiracy that soon starts to unfold. King and Maxwell is a cracking read, packed with humour, excitement and all the ingredients that make Baldacci’s novels such fantastic reads. A short-lived TV adaption of the King and Maxwell series was broadcast in summer 2013. Despite its popularity with viewers, TNT decided not to make a second season. David Baldacci has published 26 best sellers, several of which have been adapted for film and television. His work has been translated into more than 45 languages and sold in more than 80 countries; over 110 million copies are in print worldwide. He was inducted into the 2011 International Crime Writing Hall of Fame and received the 2012 Barnes & Noble Writers for Writers Award. He’s also a committed campaigner and fundraiser for literacy and education causes.